Niche line Mona di Orio has introduced new packaging for the brand. 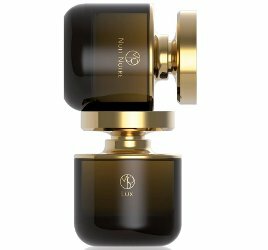 Two older fragrances, Lux and Nuit Noire (shown below), will be reissued, and a new fragrance, Myrrh Casati (shown above), will be introduced. 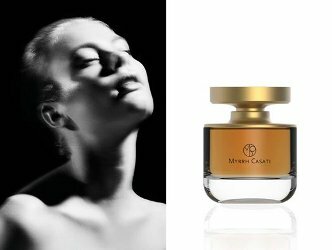 Myrrh Casati was developed by perfumer Melanie Leroux. Mona di Orio Myrrh Casati will be available in 75 ml Eau de Parfum. Update: the notes include red berries, pink pepper, cardamom, saffron, licorice, benzoin, myrrh, incense, patchouli, cypriol nagarmotha and guaiac wood. I don’t know, but it wouldn’t surprise me. Then again, these were pretty expensive to begin with. Violette Fumee was over $300, IIRC. It’s been a while since I commented but rest assured Robin … I check Now Smell this and read everything every single day. I love NST !! I am so ecstatic to finally hear that Nuit Noire is being re issued – my next but ,my next buy ! Yes !!! Nice to see you! And glad they’re bringing back a favorite — hope it will not cost too much more. Was Violette her last creation that was in the works? Mona’s? Not sure why it’s still called MdO when she’s not the main perfumer..but then again..there’s Christian Dior..Chanel..blah blah.